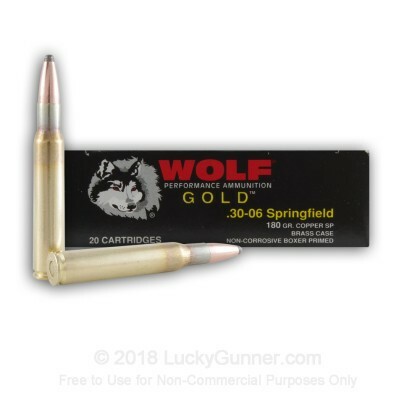 Each round has a boxer-primed brass casing, non-corrosive propellant, and a jacketed soft-point bullet for maximum energy transfer upon impact and controlled expansion during penetration. This ammo is manufactured in Serbia. 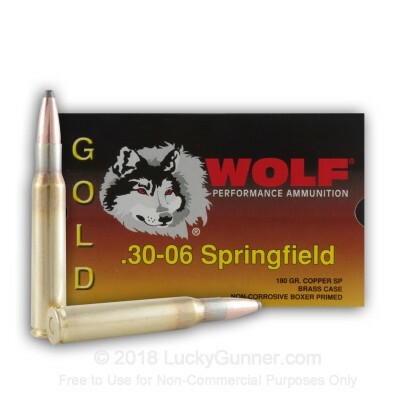 We don't have any reviews yet for this particular .30-06 ammo from Wolf. 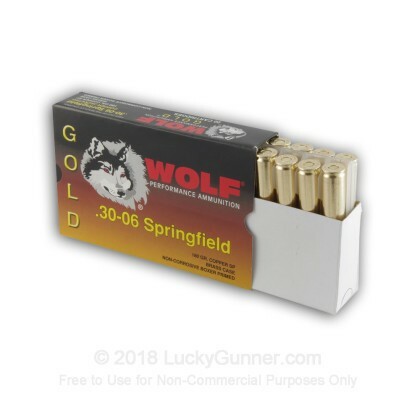 If you'd like to be the first to review this particular .30-06 ammo from Wolf, fill out the form below.